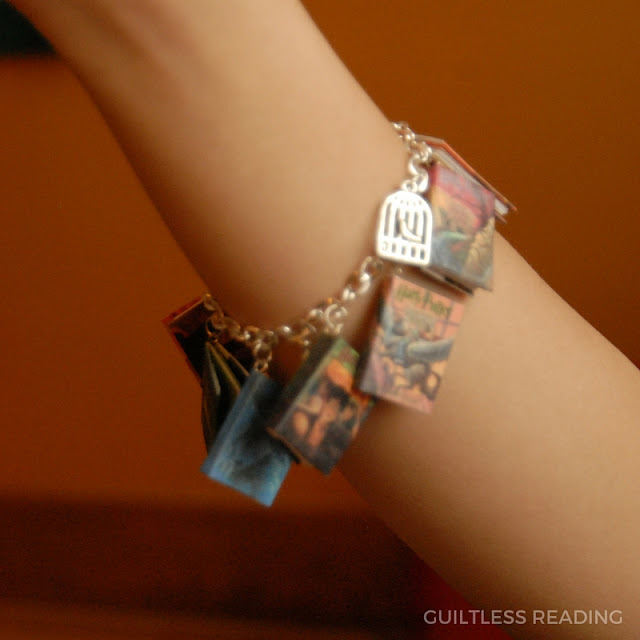 Any which way I look at this charm bracelet, I am well ... charmed. 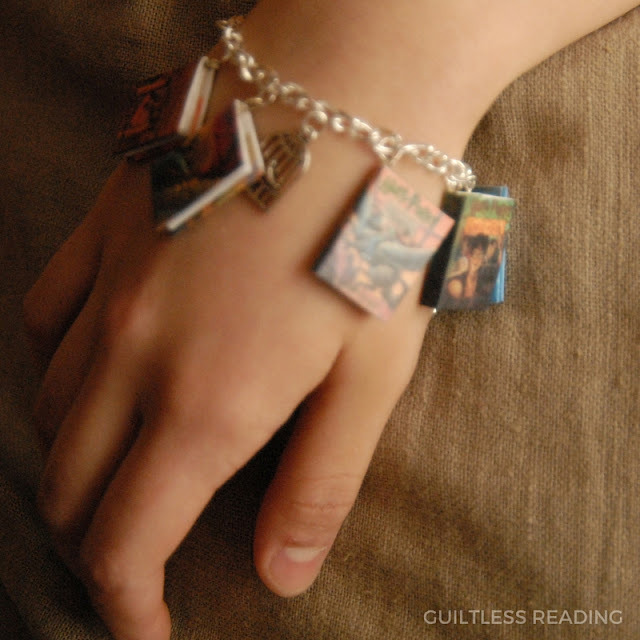 This lovely bracelet is meticulously handcrafted by Alicia of Alicia Craft, who, surprise surprise also has a book blog (check her out at Awesome Book Assessment). Now, shall we just ogle this little beauty? 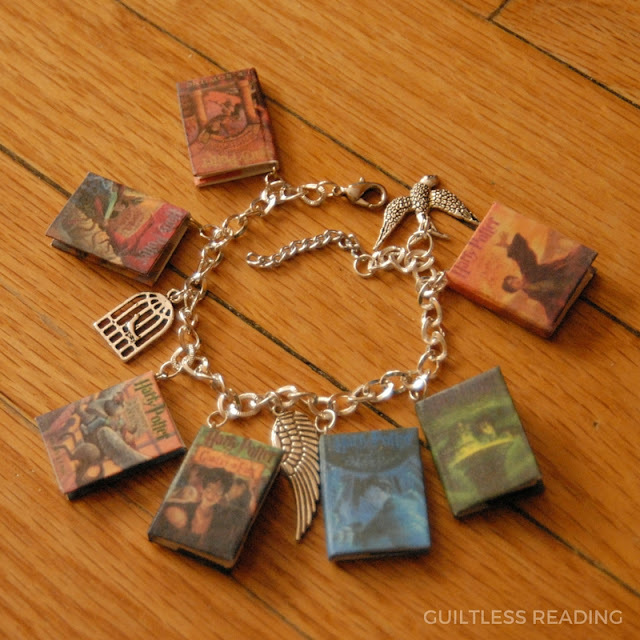 For one, all seven Harry Potter books are on this bracelet! 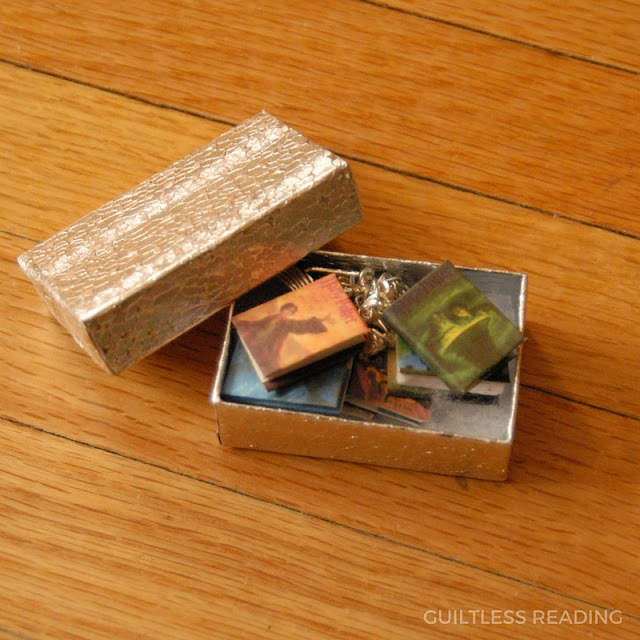 I initially thought it would be too many, but you can see that they dangle just nicely, with some space for a few little whimsical charms interspersed! Alicia Craft is giving all my readers a special treat! You can treat yourself to anything from Alicia Craft for 15% off your total purchase! (no expiration, one time use per person). *I received free product in exchange for this review. All opinions are mine.